Today was another hot and summery day down here with temperatures in the 80’s. That makes it a little tougher going. Despite not having any major summits again, we had some interesting sights nonetheless. 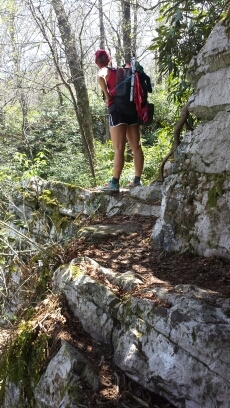 We climbed a rocky knob called Big Firescald Knob that was very reminiscent of Pennsylvania with how rocky the terrain was. 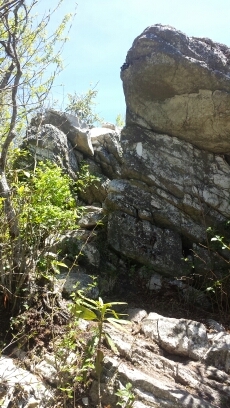 It reminded me a bit of the AT section off 309 from Knife’s Edge to Bear Rocks for the AT hikers from PA. 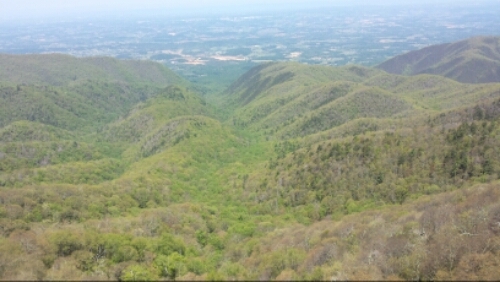 The 360 views from the narrow cliff on the Knob were fantastic. 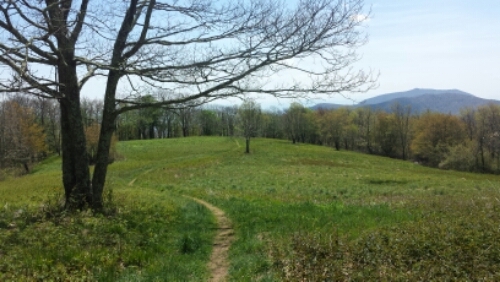 The other cool highlight was a spot called Bald Ridge that was about a mile or so long meadow. It generated some nostalgia/deja vu for me for being a little kid…(for those in the fam, I think maybe it kind of reminded me of a huge version of the meadows on Uncle Wal’s farm?) Whatever it was, it was super cool and yet another good surprise from this trail. 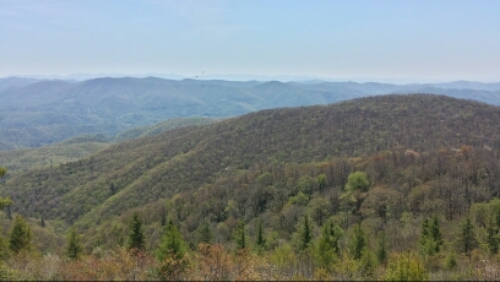 We finished up with a little over 20 miles for the day and camped stealthily on a ridge above the trail near this gap. Tomorrow looks pretty tough and we might get some rain in the afternoon, so it should be interesting as usual. This entry was posted in updates on May 8, 2014 by Joel. Got the Ma’s day card and an VERY touched that you managed to do send cards! You guys are the best! Love & miss you, but SO glad you’re doing this!